You had the total Sunbird Production Number correct initially which matches the data in the FAQ. Of all Sunbirds produced, not many were hatchbacks - about 1 out of 4. That is 24.2% of Total Production of all Sunbirds. 1. the 2E27 Coupe and the 2M27 Sport Coupe? 2. the 2E07 Hatchback and the 2M07 Sport Hatchback? I used to think this designation had something to do with the frame's, But now I think its more of a code to the dealership as to the profit margin on the car their selling. I'm leaning on this conclusion based on the E models being a cheaper 'value' version of the car. Much like the R code Monza is more expensive version than the M code. I think they started the 'E' Sunbirds in 1980. On that note, is it also possible that the 'E's are the models built during the Extended production run? *UPDATE- I just checked, nope thats not it. It appears that all 1980's were E's. I also think the change to E might have been instilled to ease confusion on the production lines between a "1M07" Chevy and "2M07" Pontiac which would have looked identical as bare shell's. The differences basically resemble the Skyhawk/Skyhawk 'S' and Starfire and Starfire SX. Pretty much just a variety of extra standard features that are not availble on the lower base model. For the Sunbird, the 'Sport' models just included a few extras as standard features but could be extra-cost options on the lower base prices model. I don't know the specifics of the differences but they would just be items like trim, interior types, etc, nothing really elaborate, just enough of a nice little prepackaged bundle for prpospective owners. The 'Sport' model for the Monza was the front facia etc. that you could get whereas the non-sport model Monza was the 2-round headlight front facia. The E07 Sunbirds were a late addition to the 1980 model year, can't recall how late (but not just for extended model run in the fall of 1980 as Marco proved) at the moment as I'm at work with no resources here to check. I'll be checking these figures again to make sure they all add up properly ... this time, both Monza and Sunbird numbers. Thanks for pointing this out, always good to have extra sets of eyes. According to my Fisher body manual for 1978 and the production figures above, there were no 07 "E" sunbirds that year. According to the 1978 ad from Bryan's ClxneAds page, the 27 Sunbird did not have a 4cyl 4speed powertrain available in CA(although from the ad there is no mention of this restriction for the 2M07). Could the "E27" have been a base model with 4cyl 4speed that was not available in CA? Also, as i recall from various posts through the years, some h-bodies did not have provisions for anti-sway bars. Could this have been a feature of the "E"? Roger, I think your on to something there, the E would indeed ..be the one w/o the swaybars mount's. Thats how both of my E's were. And that falls in line with the 'value' concept. Let me dig through some old PM's and see some 80 Formula buildsheets from Len, if I have them..
Looks like a strong possibility that the E was basically a bare bones 'value' sunbird. I'll have to see if I can find an E07 buildsheet that lists a sport suspension. It is likely a base model designation and probably 4cyl 4 speed. If so the chassis differences i could think of would be no drilling and tapping for the sway bar mount on the chassis, no welding for the mounts on the a -arms. Possibly fewer holes for motor mounts, no holes drilled in the rear control arms for sway bar. Maybe no holes tapped for the center console( by the back, between seats). There's probably a few more chassis prep operations for provisions that could be eliminated on a strickly base model chassis. The Sunbird started life as an M27 Coupe (76) then expanded to the M07 Sport Hatch the following year (77). For 1978, the model lineup was expanded further with the E27 model coupes. The M27 Coupes were changed to Sport Coupes while the E27 models used the base Coupe designation. The M27 remained the Sport Coupe till the end of production. 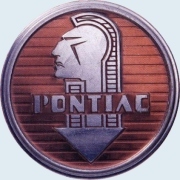 For 1980, Pontiac decided to expand the lineup again with the addition of the base E07 Hatch, since they already had the Sport Hatchback, which was the M07 model. Obviously the E-designated cars were the Skyhawk 'S' and base Starfire of the Pontiac Line, whereas the Sport Sunbirds were the Starfire SX and Skyhawks of the Pontiac lineup. I like your theories of the framework done comparing the 2 models, but like the Skyhawk 'S' and Starfire, you could order any option on those base models, which meant you could buy a base model E Sunbird and have all the goodies piled on, in and under it. Not sure why you wouldn't start with an M and build but I know the base models with extensive trim are out there. I've seen T model 'S' Skyhawks with Road Hawk packages and T model Starfires with Firenza and GT packages, etc. But if that ws the case, you certainly could make all the changes needed on the assembly line to acomodate any option on the E or M cars. And check out the weights and base prices on each. the M models are always slightly mor in weight (due to extra standard features on the car) and the increased price compared to the E model of the same designation. Definitely proving a base model E compared to the higher level trimmed M.
I think I finally have the Sunbird numbers straight, but double and quintuple check them for me will ya??????? So I think we have a definitive answer that the E designation was a base model. I know for a fact that they didn't come with sway bar mounts, But an Automatic transmission was available. It does seem like difference is a few steps saved on the production line here and there, and a slightly cheaper interior. now I'd like to see an E27 or E07 buildsheet with a suspension package RPO . I wonder if the E's got the V6? I bet these were often the Sunbird's "On Sale" at the local new car dealership. Making it look like a $4,500 dollar Sunbird was available for $2999. I going to to offer my 2 cents worth here. Unfortunately my yellow sunbird is not a formula and does not have a rear sway bar. All thought it is dressed with a lot of formula features it did not come with the proper body code but is an M07 with the F40 radial suspension but no rear sway bar ??? . So one of those #s in build sheet could depict the rear sway bar ???????. Or somebody removed it prior to me owning it ?????? Or changed the hole diff ??????? know way to know !!!!!!!!!!! So I'm no expert on # and such. I am going to agree with Bryan, you probably could order anything on any car for the right amount of money still think that is poss but the choices are a lot less. To back this thought in 1986 my wife .Factory ordered a Taurus Wagon with a 2.5 l and a 5 speed and a few month later she had her car. It was on the road till a pole hit it in 05 Another aquatince ( coworker ordered a 09 Nissan p/u 2wldr in red in late 08 and waited 5 months for delivery > he wouldn't say the cost but got it . So I 'm going to say if you want to spend the money on the body style and on the options that are available !!!! They will build it . As long as your willing to wait and pay. I also believe back in 1980 there was more choices, than to day to build a factory order car. Just go and look at the build sheet for my yellow Sunbird it does speak for this on it's own. Len wrote: All thought it is dressed with a lot of formula features it did not come with the proper body code but is an M07 with the F40 radial suspension but no rear sway bar ??? . So one of those #s in build sheet could depict the rear sway bar? The F40 RPO Code, I have down "Radial Suspension", which, I assume is very different from the F41 Heavy Duty Suspension. I would guess the F40 included front but not rear sway bars since yours did not have one. I doubt anyone would remove a rear sway bar though. . The Rear Stabilizer Bar's RPO Code is GN1, while the Front Stabilizer Bar RPO COde is F59. Len do I have the buildsheet for that sunbird? Each will have a 2 letter code..
Ok here's the latest....Len, your car would not have had a rear sway bar, apparantly, the F40 radial tuned suspension only included the front bar. I found 2 nearly identical buildsheets from 1980. A 2M and a 2E. Both V6's and both have Front sway bars...so there goes the lacking sway bar mount theory. As a matter of fact, aside from the one car being optioned out a little better, I cant see any difference between an M and an E.....yet.. Here we go, the info was right in front of me but never bothered to check it till now. The differences between the M and E 1980 Sunbirds are just the simple standard features. The M07 has the following standard options that are extra-charge options on the E07. Not a lot of differences according to the dealer brochure (there could be other subtle differences but these were the most obvious accoding to the lit I have), just a package to offer a cheaper alternative to the buyer that wants the hatchback but doesn't want or can't pay the price of the Sport Hatch.